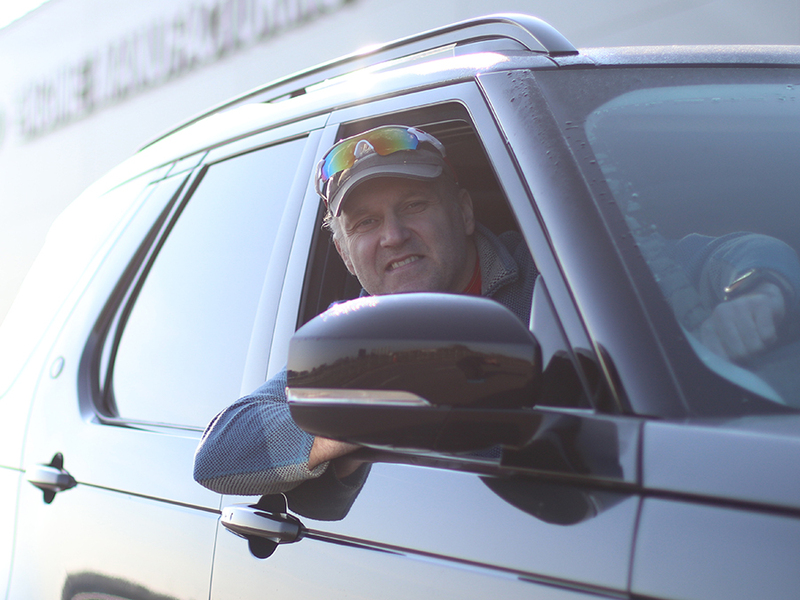 Machining's Kevin Harper has become the second winner of the Your JLR app car for a weekend. Kevin, who works on the head line at the facility, made it a brace for the machining hall, following Matt Jenner’s win last week. He received a surprise call earlier in the week to let him know he had won the competition, a Disco HSE TDE for the weekend. And, he already knows where he’s planning to spend his first few hours, a few rounds of golf at the local course. He said: “I was so surprised to receive the call. At first I thought it was someone ringing to say I was needed at work, so I made sure I answered it. But when I did it was amazing to be given the news that I’d won a car for the weekend. I immediately asked my wife about what she’d like to do. She’s yet to come back to me, but I know where I’ll be taking it first, to show it off to my mates at the golf course. At least there’s plenty of room for all my kit. “I’d definitely recommend downloading the app, as it’s a great place to find out the latest news about the business and what’s happening locally at the EMC. I’m also really looking forward to the next phase, where I’ll be able to access payslips. Don’t forget there are still two opportunities to win. Over the next couple of weeks, we’ll be picking a winner a week at random from all entries, but you’ve got to be in it to win it. So make sure you visit the competitions page and enter. Plus if you get the car over Easter, you’ll benefit from an extra couple of days of driving fun.